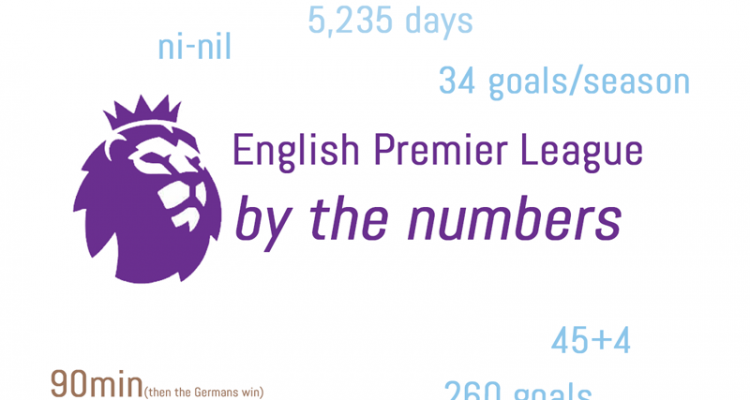 EPL by the Numbers 2018-19 #17. Click for more. Last week brought us the first legs of the League Cup semifinals and the favorites put a toe and all but a couple centimeters of two legs in the final, respectively, as Tottenham beat Chelsea 1-0 at Wembley and Man City cruised 9-0 over Burton Albion. Match week 22 kicked off with West Ham piling on to Arsenal’s recent woes with a 1-0 victory that has Hammer’s fans starting to dream of European Football next season. More bad news came this week for us Gooners, as it was announced the team will not bring in any players this winter unless they are on loan, in the same week we learned Aaron Ramsey is off at the end of the season (to Juve, if reports are to be believed). Liverpool then bounced back from their loss to City and shock exit from the FA Cup to Wolves to win at a tight Brighton side 1-0, courtesy of a 50th minute penalty by Salah. At the same time Saturday, Burnley scored a huge 2-1 win over struggling Fulham, Cardiff had to settle for a home point in a matchup with fellow relegation-threatened Huddersfield, Southampton won 2-1 at Leicester and Watford did the same at Palace. Chelsea won the late match Saturday 2-1 over a game Newcastle to open up a six-point lead on Arsenal. Sunday began with Everton earning a scrappy 2-0 victory over Bournemouth, before United drew even with the Gunners on points after holding on for dear life to a 1-0 lead over Spurs. Tottenham had a chance for their first season sweep of United since 1959-60, but instead lost their fourth in their last five against a Top 6 opponent in the league (though they have beaten Arsenal and Chelsea in the League Cup over that stretch). Monday, City took care of their business, beating Wolves at the Etihad 2-0 to cut the Liverpool lead back to four, with Spurs now nine points back. Those results left Fulham and Huddersfield in the bottom two spots, with Newcastle back in the relegation zone by a point, having only managed two points from their past five league matches. In Spain, Barça won 3-0 over Eibar to keep their five-point lead over Atletico, while Sevilla lost 2-0 at Athletic Bilbao, to fall 10 back and Alavés settled for a 1-1 draw with Girona. When Real Madrid beat Real Betis 2-1, they jumped back into the Top 4, though 10 behind the leaders. Incredibly, Real have only 33 points from 19 matches, with 3 draws and 6 losses, and a goal difference of only +4 (Barça’s is a league-best +33, as a point of comparison). Real only lost three when they won the title two seasons ago and six all of last season, when they finished third. In France, PSG, yawn, won 3-0 at Amiens, with Cavani, Mbappe and Marquinhos on target, to maintain their unbeaten start to the season (16 wins and 2 draws). Their lead is 13 points over Lille, but they still have two games in hand. And we are still a week away from the restart in both Italy and Germany. The NFL playoffs continued this past weekend as well, with KC cruising past the Colts 31-13 in the opener and the LA Rams running all over the Cowboys en route to a 30-22 victory. Sunday, the Patriots absolutely crushed the Chargers, though some late scores by the LA transplants made it seem more respectable at 41-28, setting up a battle at Arrowhead with the Chiefs and another shot at a Brady-led Super Bowl appearance. For those counting, that is eight straight appearance in the AFC Championship game for the Patriots, Brady and Belichick. Wow! In the final game Sunday, the Saints finally ended the magical two-season run of Nick Files in the playoffs 20-14. The Saints will host the Rams next weekend as both try to get back to the big game for the first time in 9 and 18 years, respectively. 0 – Chelsea had not scored at home in two straight matches, but ended that slump in the eighth minute against Newcastle, with David Luis sending it over the top perfectly from midfield to Pedro, who swooped it over the keeper from close range. Chelsea ultimately won 2-1, not surprising as Newcastle have lost every match in which they have trailed this season, though they did equalize in the 40th minute before Willian scored the winner in the 57th minute. Martin Dubravka can only watch as Willian’s shot flies into the corner to restore Chelsea’s lead. 1st – Kurt Zouma scored his first ever goal for Everton to give them a 1-0 lead Sunday in the 60th minute. It was the 41st goal conceded by Bournemouth this season and they allowed another right at the death, as Calvert-Lewin added some glean to the result. Only Fulham (49) and Burnley (43) have conceded more than the Cherries 42. 1st – More surprisingly, Luca Modric – you know, that dude who won the Ballon d’Or – scored his first league goals of the season Sunday, giving Real a 1-0 lead over Real Betis. They needed a Ceballos winner in the 88th minute to win it 2-1 after Beria had equalized. 1-10 – The Cowboys only converted one third down in their playoff loss Saturday night and fell short on a critical fourth and one in the fourth quarter that ultimately proved the difference. The Rams were 5 of 11 on third down, including Jason Goff running for the first down that allowed LA to run out the clock and return to the NFC Championship game for the first time since the Kurt Warner days. Prescott outperformed Goff, who only completed 15-28 for 186 yards, but the Rams outrushed the Cowboys 273 to 50 yards, holding Zeke to 47 yards on 20 carries. 5 – Everton garnered only their fifth clean sheet of the season Sunday, the last coming November 24th, in a month they had two of those five. Bournemouth, ironically, have had six, but the first five were all before November. Zouma celebrates his first Everton goal with real zeal … and a little fury. 5 – Rashford has 5 goals and 5 assists in his last 10, and 4 of those goals are in his last 5, begging the question of whether Mourinho was stunting his growth. He scored the only goal of the match from a lovely Pogba through pass right before halftime Saturday. 5 – Years since United gave up a halftime lead, way back in September 2014 to Leicester. They held on Sunday to put a serious dent in Tottenham’s title hopes while restoring their own shot at a Top 4 finish to the season. 6 – Ole Gunnar Solskjaer now holds the record for wins to start a Manchester United managerial career. He beat the man tipped to replace him at the end of the season … if Pochettino wants it AND Spurs let him go. Solskjaer celebrates his sixth straight win over the man who could well replace him in a few months’ time. 7 – United have conceded 7 goals from corner kicks this season in the league, and it should have been eight, but for an incredible save from David De Gea in a match of several incredible saves as he earned only his fourth clean sheet of the season, and second in a row for the first time in a year, with an incredible 11 saves overall (the second most in his career). 7 – Goals for West Ham’s Felipe Anderson in his last 12 league matches, after only 1 in his first 10. He also has 2 assists in the league and another in the Caribou Cup. Against Arsenal, he didn’t add to his tally, but did contribute on both ends of the pitch. 8 – Points in the last 10 minutes of matches for Arsenal – most in the league. But they couldn’t find a goal in their worst performance of the season, with Xhaka (guilty for the only goal of the match with another mistake in his own half), Guendouzi and Iwobi particularly poor with their passing. 11 – Bournemouth’s loss to Everton Sunday was their 11th in their past 14, a brutal run that came after a strong start, leaving them in 12th place and relatively safe … unless this form continues much longer. 14 – Arsenal have scored and conceded that many goals since their unbeaten streak ended, winning three (one in the FA Cup), drawing one and losing four, including the aforementioned 1-0 loss to West Ham. That makes it losses in three of their last six in the league and being ousted from the league cup by hated rivals Tottenham. In their next two matches, they host Chelsea and United, matches that could well decide their Top Four fate. Declan Rice celebrates his first Premier League goal, which proved the difference Saturday as West Ham upset the Gunners. 15 – Newcastle had scored only that many goals in their first 21 league matches, their smallest tally ever at that point in a season. Salmon Rondon had 33% of those goals with 5. They did equalize against Chelsea Saturday, through Ciaran Clarke, but ultimately lost 2-1. 15 – West Ham had the second most points in December, only trailing a hot Liverpool, and have continued that hot streak with their first home win against Arsenal since 2006, earning 7 of the 9 points on offer in January. 18 – Plays, 92 yards and over 11 minutes on the clock. That drive by the Saints took up most of the third quarter and gave them their first lead of the day Sunday, as they scored their 17th point in a row to take a 17-10 lead over the Eagles. They went on to win the game when one of the best receivers in the league let the ball slip right through his hands en route to being intercepted just as Foles looked likely to pull off another miracle win. Jeffery collapsed in a heap after his error cost the Eagles a chance at continuing their two-year playoff winning streak. To be fair, he certainly contributed to the Super Bowl run last season. 19 of 35 – The Patriots hit first downs on 18 of their first 35 plays and were 5 of their first 5 on third down, with two of those coming via penalties on the Chargers after incomplete passes. That led to a 28-7 lead over the Chargers, who finally stopped them the next drive only to fumble the resultant punt and give up another TD to make it 35-7. The Chargers scored three touchdowns late, but the game was essentially already over and the Patriots are on the AFC Championship game yet again. 32 – Sean McCoy became the youngest coach to win a playoff game, 30-22 over the Cowboys, beating the previous record held by John Madden (33). His biggest call might have been to go for it on 4th and goal up 8, a conversion making it a 15-point game and essentially ending thing. However, I think it is fair to say, a few calls really hurt the Cowboys. An absurd whistle cost them at least 3 points in the third quarter, there was a clear hold on the aforementioned play that pretty much sealed the game and a few other questionable calls all went the Rams way. It was the eighth straight playoff loss on the road for the Cowboys and, though I’m guessing I will be overruled, should be the end of the road, pun intended, for Jason Garrett. 46 – Jan Oblak has kept that many clean sheets in 86 La Ligament matches for Atlético Madrid – an insane tally even with one of the best defensive sides in the world. And then there are Neuer, Ter Stegen, Ederson and even Allison – all whom seem to make less mistakes and command the box for club and country better than De Gea. Is he really the best keeper in the world … or simply the one who has the most spectacular saves and best reflexes? Jan Oblak’s save percentage of 81.8% was the best in La Liga last season and he has the most clean sheets (9 in 19) this season as well. 50 – In the 50th minute, Liverpool’s patience and perseverance were rewarded with power from the penalty spot by Salah, as they scored their 50th goal of the season, against only 10 conceded. They maintained their lead of 4 points at the top of the table, after City won Monday, wishing they had scored one more or conceded one less a couple of weeks ago against the second-place side. 70 – Adam Vinatieri had converted his first 70 extra points in the playoffs on the road to four Super Bowl wins – three with the Patriots and another with the Colts. His miss had little impact on the final score, though the short field goal he missed right before halftime seemed to stamp out the sniff of a comeback the Colts were building. He has converted 82 percent of his field goal attempts in the playoffs, which ties him for 16th (Justin Tucker of Baltimore is tops with a 90.1% conversion rate). 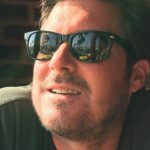 Vinatieri does have the overall record for total points scored with 2,600 and most postseason points with 238 (Gostkowski, the current Pats kicker, is second with a “measly” 191 and counting). 78 – The combined age of future Hall of Famers Tom Brady of the Patriots and Philip Rivers of the Chargers, the highest combined age for starting quarterbacks ever in the playoffs. Brady had a much better day, leading his side to touchdowns on their first four possessions, a first for a Patriots team that has the most Super Bowl appearances and most Super Bowl wins ever by a coach/QB combination. Rivers and the Chargers had a day to forget in what could have been Rivers last best chance to finally get to the Super Bowl. 250 – Lucas Fabianski made his 250th league appearance overall, as West Ham, his current club, played Arsenal, his first (32 appearance and an FA Cup medal). In between, he made the majority of his appearances as the first-choice keeper for since-relegated Swansea. Fabianski leads the league in saves this season, though that obviously has as much to do with defensive problems at West Ham as the keeper. Nonetheless, he has rejuvenated his career after losing out to fellow Pole Szczesny at Arsenal. 335 – Fabianski, after sitting on the bench for years at Arsenal, has accrued a nice tally of appearances, mostly with Swansea, but Mark Noble absolutely crushes him with the most appearances for West Ham, at 335 and counting. He is only 31 and just signed an extension through 2021. 400 – Lionel Messi became the first player ever to hit that tally of league goals in La Liga Sunday, as he scored one of the three scored by Barça in their victory. He has eight goals in his last five league matches, including a brace against Espanyol and a hat trick against Levante. Messi celebrates another milestone in his stellar career. 854 – Matches for Andy Murray in a career that included three Grand Slams (breaking the British snide in slams in general and then at Wimbledon), a top ranking of #1, more heartbreaking losses than anyone in memory (including 8 GS finals) and 45 singles titles overall, is retiring from the sport either directly after a another heartbreaking loss in the first round of the Australian Open 6-4, 6-4, 6-7, 6-7, 6-2 to Roberto Bautista Agut or, at latest, after Wimbledon this year. He was given a heartwarming tribute on the screen from the biggest names in the sport after that loss and will be remembered most, I think, for his perseverance after losing in so many GS finals and reaching #1 in maybe the greatest era of men’s tennis ever. 04/2016 – Samir Nasri was starting just his second match in 13 months for West Ham Saturday, but he assisted the winning goal for West Ham against Arsenal, his first assist in almost two years. Sweet justice? Not really, as he demanded the transfer that sent him to City and the title, facilitating the downward spiral the Gunners experienced right afterwards. Guendouzi spent too much time on the mat Saturday as Nasri helped West Ham to a big win over the Gunners. No Comments on "EPL by the numbers: Match Week 22, Tottenham and City likely to meet in League Cup Final"